Contrary to a popular misconception, plastic bags, soft plastic, film plastic, and foam should be considered as regular garbage and should be kept out of your plastic recycling bins. Many items that should be kept out of your plastic recycling bins can be recycled by working with a program like Terracycle. 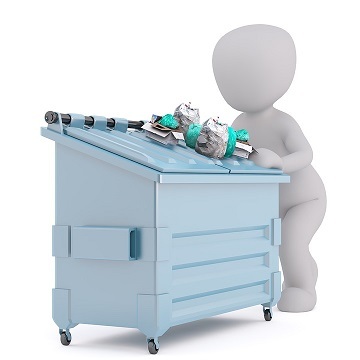 They offer free recycling programs funded by brands, manufacturers, and retailers around the world to help you collect and recycle your hard-to-recycle waste. Simply choose the programs you’d like to join; start collecting in your home, school, or office; download free shipping labels; and send us your waste to be recycled. You can even earn rewards for your school or favorite non-profit!